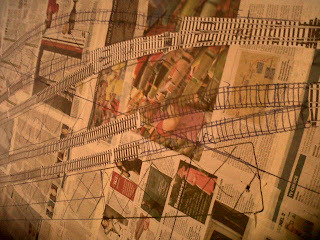 French Model Railway: The layout will occupy a fairly small space. The layout will occupy a space of approx 150cm by 300cm tapering down to 20cm at its far end. 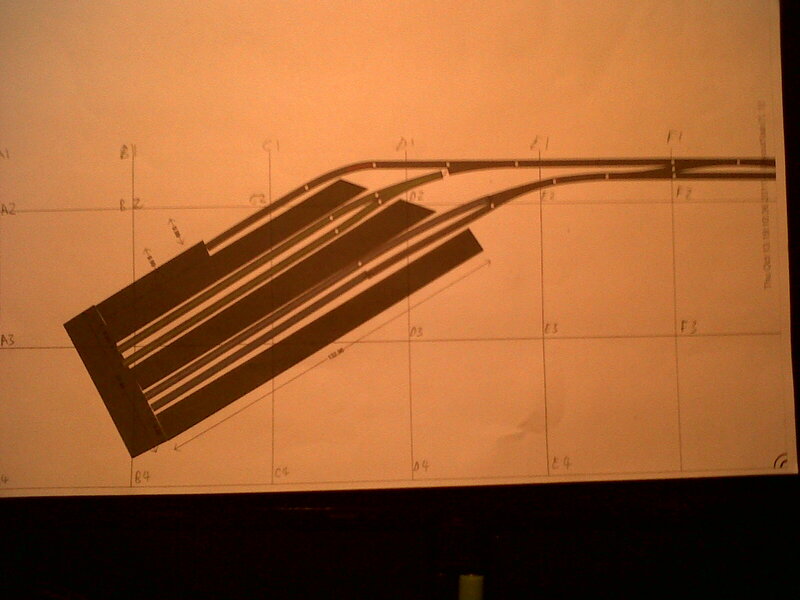 I used a commercial software package to design the track layout to fit such a space and then sent the resultant plan to PEKO who manufacture model track and they advised about its wiring. 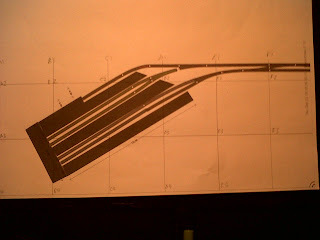 This is the link to the layout planning software, Anyrail. Using photocopies of actual pieces of track I drew out the layout full-size on newspapers. Enough space has been left around the platform area to create a French-style townscape or diorama. 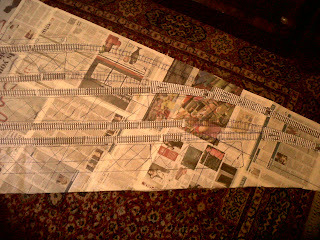 I also laid down some lengths of track and simply drew around them. 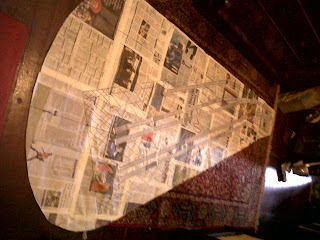 This next photograph very clearly shows the shape of the baseboard that will be cut from plywood.